Hello scrappy friends! 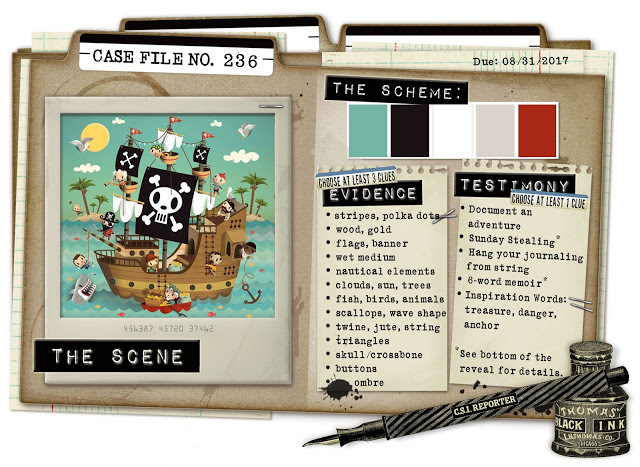 Today, I want to share a layout, that I did for the actual challenges of CSI-color-stories-inspiration and SketchNScrap. 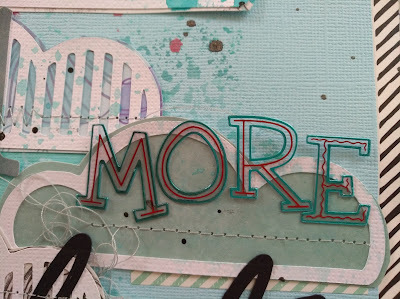 I switched the sketch of SketchNScrap and started with a light teal background, that I glued on a patterned paper. I love this frame of black and white stripes! After that, I cut some clouds from just nick and backed them with patterned paper. Then, I did some color splashing on the clouds and the background (with distress oxides, water and plastic packaging). The text is made of different alphas from my stash. 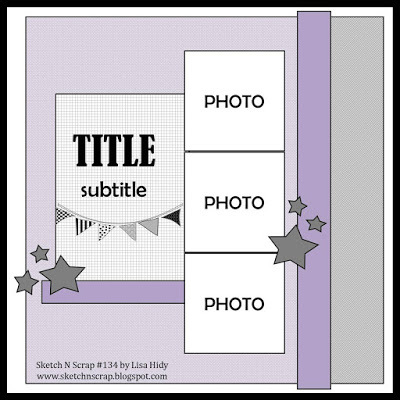 The word "photo" is cut out with my cameo (shoreline script). After gluing down the photos and the clouds and decorating with some stickers, I machine stitched the clouds and I love how it turned out! 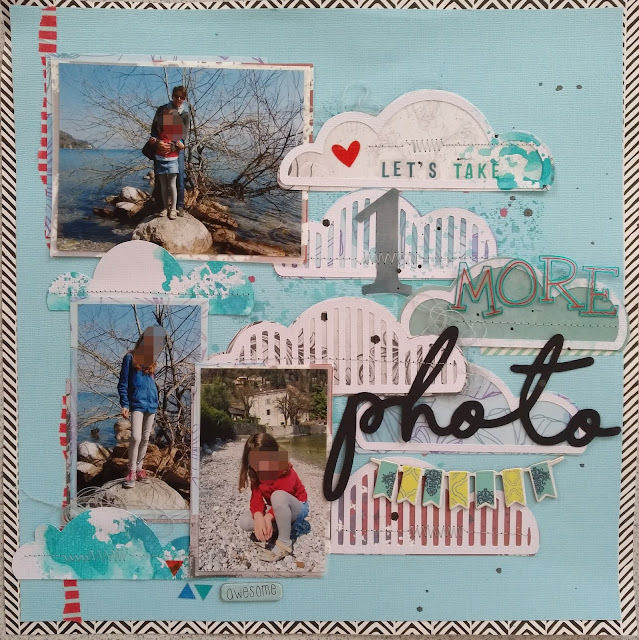 What an amazing layout Denise! I love those clouds and the distressing!! Thanks for joining us at Sketch N Scrap! Beautiful layout! Love all details. Thanks for joining us at Sketch N Scrap. Beautiful! I love the way you did your coloring and the beautiful photos! Wonderful job! 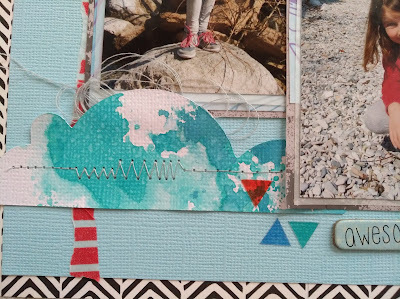 Thanks for sharing your page with us at Sketch N Scrap! Love your take on the sketch and the pretty clouds. 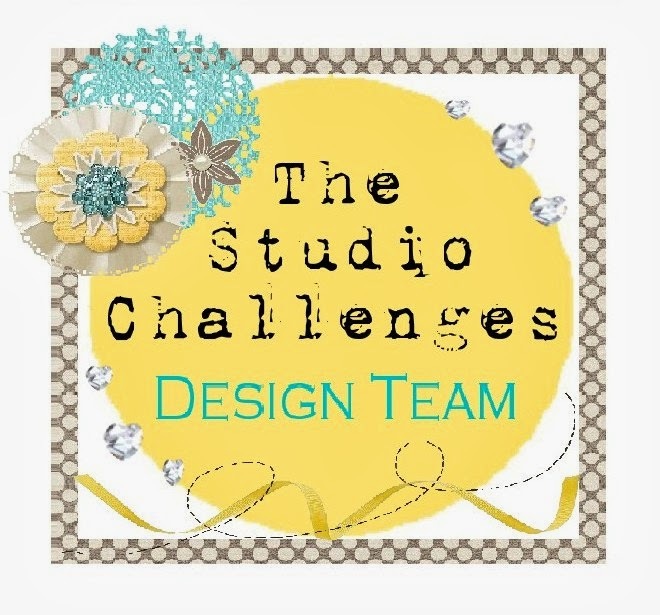 Thanks so much for joining us at Sketch N Scrap. 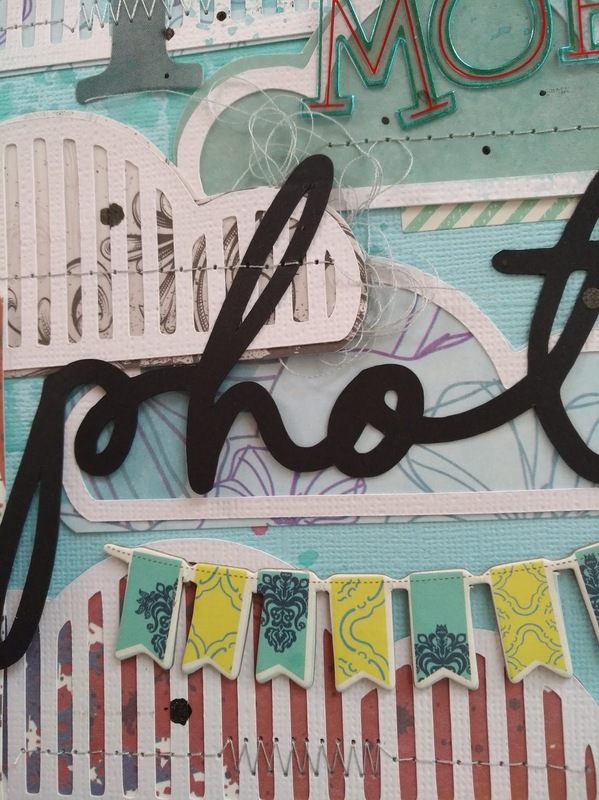 Beautiful layout, Denise! Love your take on our sketch! Thanks so much for sharing with us at Sketch N Scrap! Oh I love your layout! Those clouds look so cool! Thank you for playing along with us at CSI! Great shots! Love the clouds and how you've placed your title along them. The watercoloring on the clouds looks really cool!